In Japanese tradition a tea house can refer to a structure designed for holding Japanese tea ceremonies. 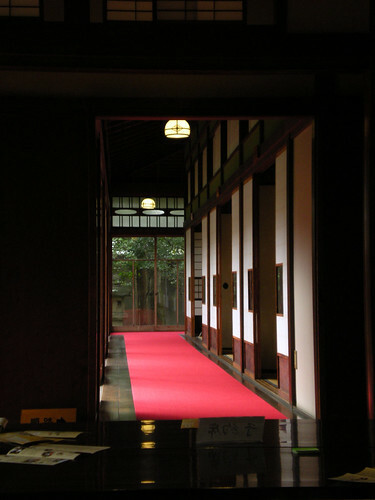 This structure and specifically the room in it where the tea ceremony takes place is called chashitsu (茶室). 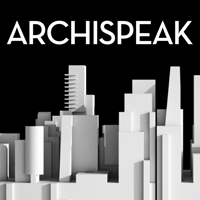 The architectural space called chashitsu was created for aesthetic and intellectual fulfillment. In Japan a tea house can also refer to a place of entertainment with geisha. These kinds of tea houses, called ochaya (お茶屋), are typically very exclusive establishments. 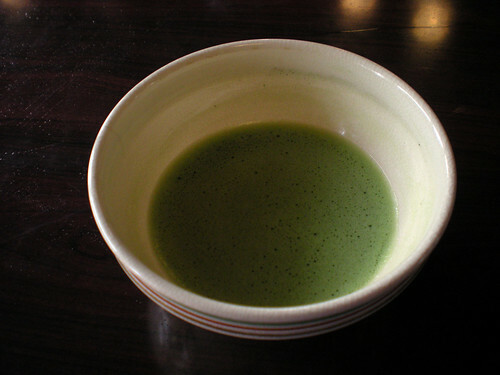 The most notable ochaya is the Ichiriki Ochaya. On our last day, one of the more subtle moments was a visit to a local tea house. Sawako informed me that while traditional, unlike something like the Onsen which is still very widely used, the tea house is more of a nostalgic “touristy” event anymore. This was proved out by the troupe of students here ona field trip. The house was a beautiful setting, and Mr. Miyama explained that the house, known as Yamamoto-tei, had been the residence of the very prominent Yamamoto family who had gone bankrupt, and the state had claimed their house in order to preserve the historical site. He used the tale as a parable of how the Japanese need to adapt, that tradition isn’t enough to carry them into the future. The tea was lovely, served in traditional style, with a sort of semi-sweet confection similar to marzipan. We removed our shoes and sat on the floor, again in traditional style. The Japanese culture is truly fascinating, how tempered and determined it is in addressing every detail of even the most casual things.